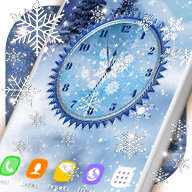 Winter Snow Clock Wallpaper Is an application that changes the background of your phone with beautiful images of the winter season and analog clock of ice that have parallax effects (3D) and magic touch (beautiful animations when you touch the screen). You can also add one of the two original clocks to your home screen! Also on your screen falling beautiful and frosty snowflakes. 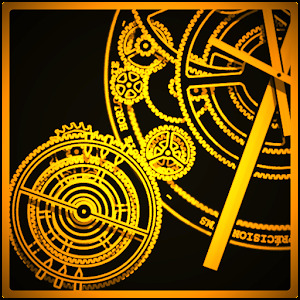 First of all you can customize it before applying, adding clocks, animated elements and more! It’s easy. Launch the app and just click “Done” and on the next page click “set Wallpaper”. A desktop Wallpaper Winter Snow Clock has been activated. Or if the above doesn’t work, you can also do it: Home -> Menu -> Wallpaper -> Live Wallpaper -> Select winter snow Wallpaper. What could it possibly do? You can add falling snowflakes and change their size, number and speed. 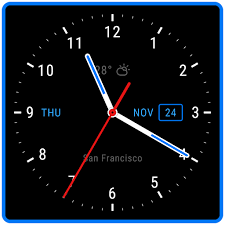 You can add a watch to your screen and customize its style, position and size. It has 3D / 4D (parallax) and magic touch effects. Fully optimized app to work on almost all Android devices and save the original image. This is a new and HD. 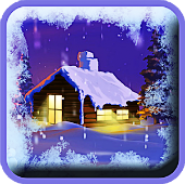 Winter snow Wallpaper is suitable for everyone and can be freely used. After applying the Winter Snow clock Wallpaper Wallpaper on the home page will change with the desired background.